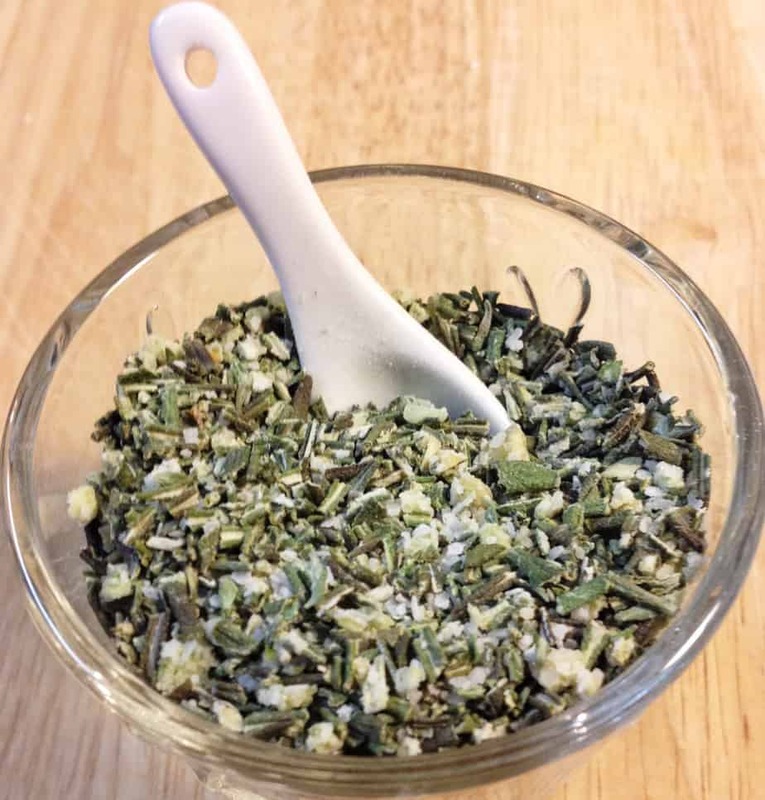 Last year for my birthday, a friend made me some herbed salt. She called it ‘Tuscan Salt’ and the name alone made me fall in love. Made from kosher salt, garlic and a variety of herbs, this fragrant salt tastes at least as good as it smells. Maybe even better. This salt is amazing on potatoes, steamed vegetables, eggs, well, just about anything and every thing. Because of that, I’m now out of the gifted salt. So, I did what I always do, and decided to make some of my own. A quick Google search of ‘Tuscan Salt Recipe’ will reveal several variations. 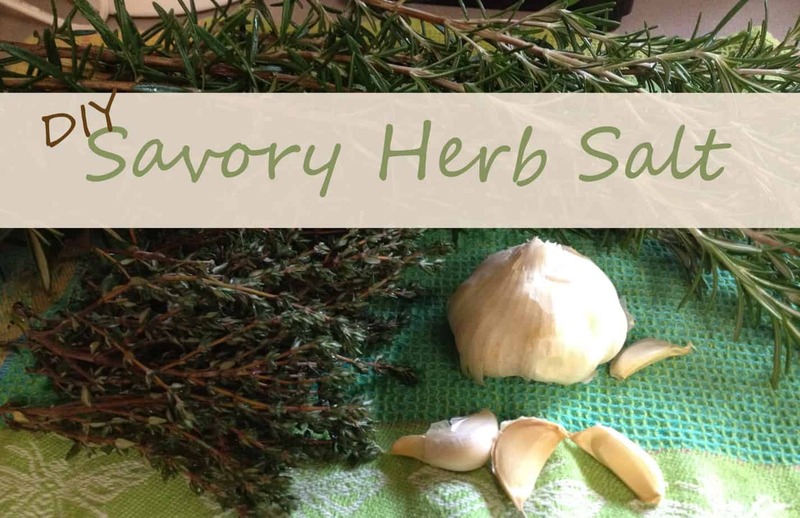 But they all have this in common: Kosher salt, fresh garlic, and fresh herbs (pretty much any kind, it seems). Apparently, true Tuscan salt consists of salt, garlic and equal parts rosemary and sage which is chopped and blended together and set out in the sun to dry. Because I live in the Pacific Northwest and might not see the sun again until next July, the whole drying in the sun thing isn’t going to work for me. 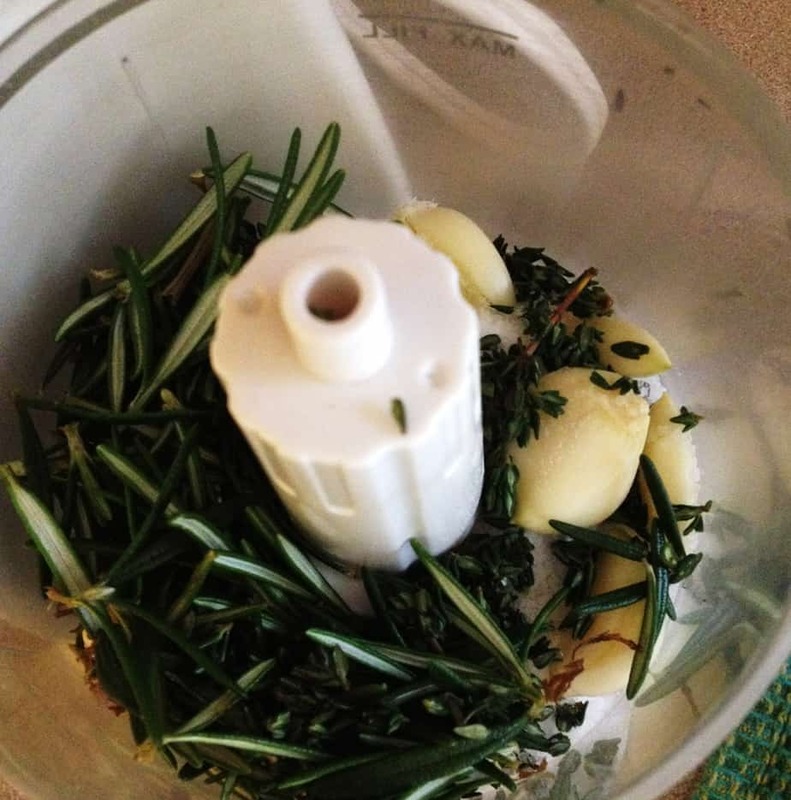 However, I do have a massive rosemary bush in the yard, along with some thyme still growing on my deck, so those are the two herbs I used for the Pacific NW style Tuscan Salt, which I spread on a lined baking sheet and stuck in the oven to dry. Lots of sites say to hand chop it. 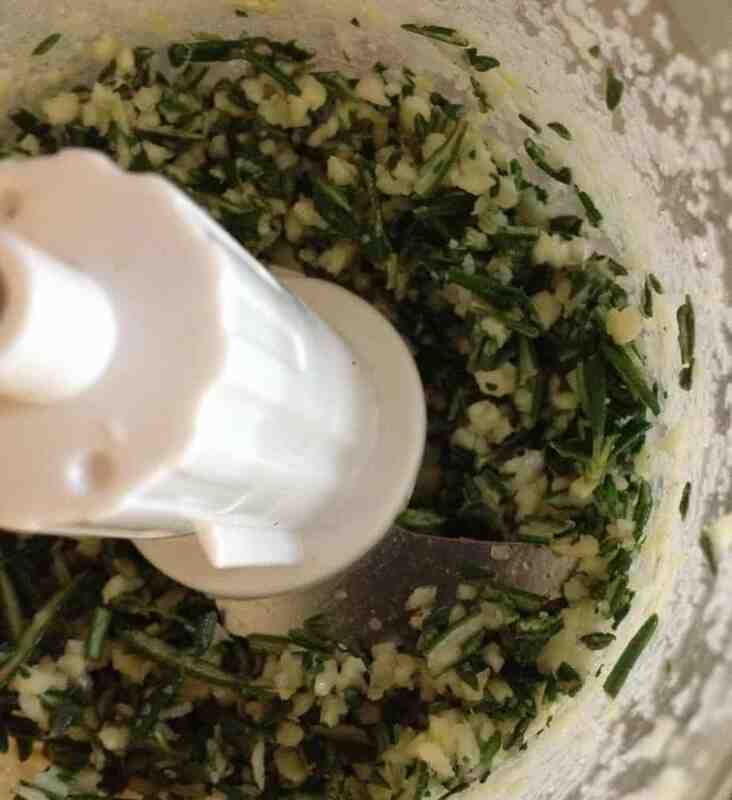 But, if you food processor it, they say to add herbs and garlic with only in a bit of the salt so that it doesn’t get pulverized. You want it chunky-like. Coarse sand. Ground up cookie crumbs (for cheese cake crust). That kind of thing. I food processor-ized it with a tiny handheld chopper thingy I have. (I do have a Vitamix, but I was worried it would turn it into powder). The handheld processor only did part of the trick and I ended up chopping it a bit by hand afterwards–but it did cut down much of the work. Once it was all chopped up, I added the rest of the leftover salt (which was about half of it), and stirred it all together. In the meantime, since I don’t have a sunny window to sit the salt at for 5 days to dry, I pre-heated my oven to 250 degrees. I spread the salt mixture out on a lined baking sheet, and stuck it in the oven. Once inside the oven, I turned the heat off and left it there for the rest of the day. This is a great (and inexpensive) gift that could potentially make you a hero during this upcoming holiday season. I can’t take the credit for it, though, as a friend gave it to me first as a gift. The first time I used it, I thought I’d died and gone to, well, Tuscany. And I heralded my friend as a culinary genius. So you just never quite know where this salt might take you. Just sayin.